Is It Gluten Or Glyphosate? 5-Year-Old Research Says It’s The Latter. 20 years ago very few people had even heard of gluten intolerance. Today, almost everyone knows at least one person whose digestive systems cannot handle wheat or other grain products. According to estimates, 1 in 20 people living in North America and Europe now suffer from celiac disease or some other form of gluten intolerance. This information comes from a meta-analysis published in Interdisciplinary Toxicology in 2013. In their conclusion, researchers wrote, “glyphosate, the active ingredient in the herbicide, Roundup®, is the most important causal factor in this epidemic.” However, that study was largely buried. At the time, only Mother Earth News covered the story. More recently, the five-year-old study was the subject of an article in The Healthy Home Economist. Before now, the shocking increase in celiac disease and gluten allergies was attributed to one of two things: (1) more advanced and accurate diagnoses, and (2) genetic engineering that has dramatically raised the gluten levels in wheat. However, many travelers who are gluten-intolerant at home have noted that when, for example, they eat pasta and bread in Italy and other countries, they have no problems. It turns out that commercial wheat farmers have been soaking their crops in Roundup and using it to “dry down” the wheat since the late 1990s. 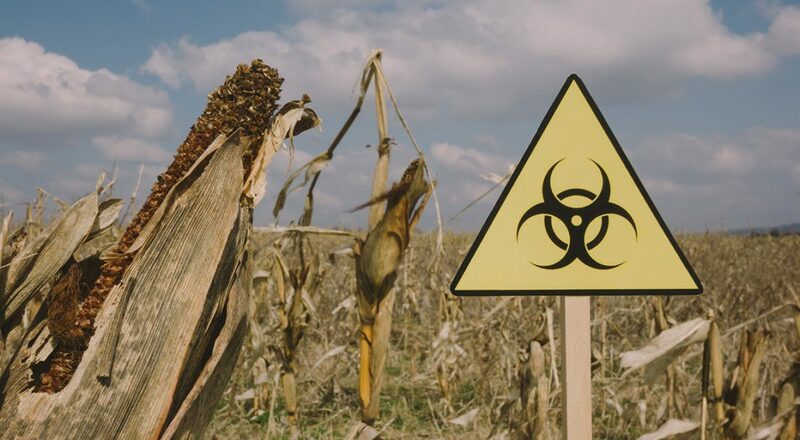 Although intended for weed control, farmers have found that application of Roundup kills the wheat plant itself – enabling them to harvest the crop earlier. This use of glyphosate also causes the fields to ripen at a more uniform rate. This practice, neither licensed nor approved by the FDA, is what accounts for the amounts of glyphosate found in commercial bread and cereal products. So, if this information was available five years ago, why is it only now coming to widespread public attention? Part of it is a recent multi-million dollar judgment against Monsanto in favor of a Bay Area groundskeeper who suffers from terminal cancer caused by glyphosate. Despite herculean efforts to cast doubt on the science linking glyphosate exposure to cancer, Monsanto and its new parent company, Bayer, are finding it increasingly difficult to conceal the truth. Not that they haven’t tried. Monsanto has been doing its level best over the years to cover up evidence of glyphosate toxicity by recruiting bought-and-paid-for “scientists” and working with co-conspirators at the EPA. This skulduggery has had considerable success in the past. Evidence of glyphosate toxicity is becoming increasingly difficult to hide these days. Already, several countries around the world are either banning all use of glyphosate or are enacting severe restrictions on its use. Under the present rabidly pro-corporate, anti-environmental and anti-people Administration, it is unlikely that any similar ban will be enacted on a federal level in the U.S., but municipal governments in at least sixteen states have been taking action toward reducing and eliminating the use of the carcinogenic herbicide.